Store-bought cookies just never taste as good as homemade. Isn’t this always true? Could it be that the extra dose of hands-on love makes homemade cookies that much more special? I love cookies and have been making cookies most since I could stand. I still cherish my first Betty Crocker’s Cookie Book. Its colorful pages are to this day encrusted with pieces of dough, sugar, and other cookie ingredient goodies. A Pile of my S’more Cookies available at my Dish D’Lish cafes! Do you love cookies but never have enough time to whip up a batch? Then try out this baker’s trick. When you do have time, make up a few batches of your favorite cookie doughs then roll them each into logs. Wrap tightly in plastic wrap then label and freeze them. Now, whenever the cookie craving hits you or guests stop by, just pull out a roll, slice, and then bake. Voila! Instant cookies will be ready for that after school snack, cookie craving, special guest, or any fun occasion. I love experimenting with cookie doughs and see how the flavors bake together. How about taking your favorite chocolate chip cookie recipe and adding hazelnuts, instead of walnuts? Next time, try adding lavender and lemon zest or even herbs in a shortbread cookie. What about a pinch of cayenne pepper to gingersnaps for a sassy twist? Add a splash color to white chocolate macadamia cookies by stirring in dried cherries to the dough. At my Dish D’Lish® cafes the S’mores Cookies are the most popular cookie. Chocolate dough is studded with toffee bits and finished with a topping of marshmallows and graham crackers – baked till gooey good! Everyone has a favorite. Mine is my Mom’s Oatmeal Gumdrop Jewels. My mom has made these cookies ever since I can remember. One of my favorite memories is having the important job of cutting up the gumdrops…and taking a sneaky quick bite every so often! 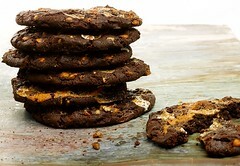 These are the most popular cookie at my Dish D’Lish Cafes! The marshmallow graham cracker topping makes them gooey delicious! To make the cookie dough, in a mixing bowl, cream the butter, shortening, sugars, egg, and vanilla well. Sift the flour, cocoa, soda, and salt together in a small bowl. Mix into the butter mixture. Stir in the toffee bits. In a large piece of plastic wrap, roll the dough into a 3-inch-diameter log with flat ends. Wrap well and refrigerate the dough to chill for at least 1 hour, or up to 3 days. When ready to bake, preheat an oven to 350°F. Line 4 or 5 baking sheets with baking parchment (see Chef’s Note, below). While the oven is heating, make the topping. Combine the ingredients in a medium bowl and mix with a rubber spatula or spoon until the marshmallows are thoroughly coated. The mixture will be very sticky. Cut the chilled dough into 10 equal slices. Place 2 or 3 slices on each prepared baking sheet. (When baked, these cookies spread to about a 5-inch diameter, so bake only 2 or 3 per pan.) In the center of each cookie, place about 1 heaping tablespoon of topping, using it all. Bake the cookies for 18 to 20 minutes, or until just done. Let cool on the baking parchment until totally cooled and easy to remove. Chef’s Note: If you’re short of baking sheets, just lay out the dough slices on additional pieces of baking parchment. When a pan of cookies is done, remove the pan from the oven, slide the parchment with the baked cookies onto a rack, place the next parchment sheet of dough on the pan and bake. To make this task a bit easier, try snipping them into pieces with clean, wet scissors. Cream butter, shortening, sugars, eggs and vanilla. Mix in buttermilk. Sift together dry ingredients and blend in. Mix in oatmeal, gumdrops, walnuts and raisins. Chill 2 hours, then drop by tablespoonfuls on a greased baking sheet. Bake 10 – 12 minutes or until golden. 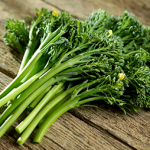 With the surging popularity of kale, brussel sprouts and even rutabagas, what’s old has become new again, especially in the veggie world! In years past, moms everywhere couldn’t bribe their kids to eat these veggies, but today, being green is now fun and good for you! 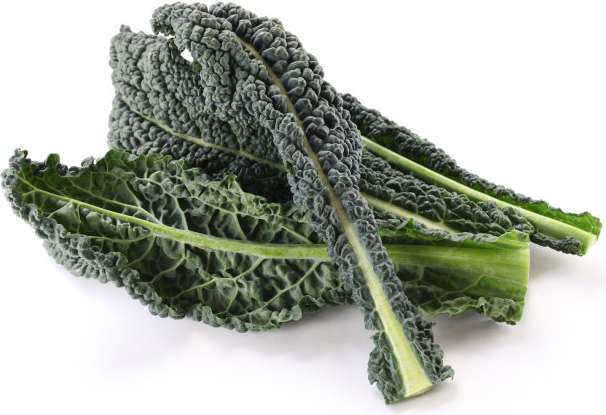 A great example of an old but “new” veggie is the gorgeous Lacinato Kale (aka black kale). It’s a beloved veggie in Italy and traditionally slow cooked into soups. It is branded at most stores now as “dinosaur kale”, which makes it fun for kids and just one way of getting them to eat it too. Also new on the veggie hipster horizon are vegetable mash-ups! 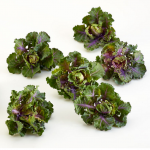 Take for example kalettes, which are a cross between brussel sprouts and kale or broccolini; a hybrid of broccoli and gai lan (aka Chinese broccoli). 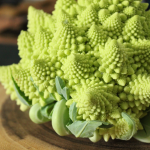 And don’t forget the gorgeous Romanesco aka broccoflower! A lime green vegetable that takes the best of broccoli and cauliflower and marries them together in a blissful union. So delicious steamed and tossed in olive oil, lemon juice, salt and lemon zest! Don’t have time to get to the market, then checkout Barn2Door. Founded by 2 Washingtonians. This “un-grocery” store gives you 24/7 access and a direct line of communication between you and the growers, plus access to an ever changing fresh sheet of local products. You can even message the farmers directly! How cool is that?